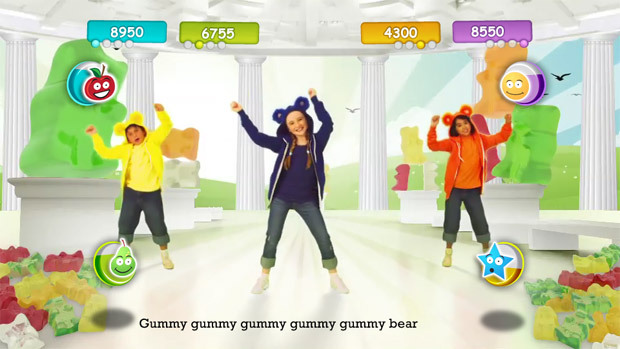 Gummibär To Be Featured In New Just Dance Kids Video Game - Gummybear International Inc.
French video game studio Ubisoft announced the newest installment to it’s ever popular video game series Just Dance. Just Dance Kids 2 (Just Dance Kids in the UK) will be released on October 25th in the US and November 4th in the UK on the Wii, Xbox 360, and Playstation 3. Among the 40 new songs, the hit Youtube song, I’m A Gummy Bear (The Gummy Bear Song) will be one of the featured tracks to use. This would mark the first appearance of Gummibär in a major platform game. Ubisoft plans to broaden their market by adding support for all major motion controllers with the inclusion of Microsoft’s Kinect and Playstation Move support. This will provide more interactivity to the game, allowing kids to create their own video clips. Just Dance Kids was previously published in the UK as Just Dance Juniors, now being rebranded as Just Dance Kids.